Developments in medical science have afforded us the opportunity to improve and enhance the human species in ways unthinkable to previous generations. Whether it's making changes to mitochondrial DNA in a human egg, being prescribed Prozac, or having a facelift, our desire to live longer, feel better and look good has presented philosophers, medical practitioners and policy-makers with considerable ethical challenges. But what exactly constitutes human improvement? What do we mean when we talk of making "better" humans? In this book Michael Hauskeller explores these questions and the ideas of human good that underpin them. Posing some challenging questions about the nature of human enhancement, he interrogates the logic behind its processes and examines the justifications behind its criteria. 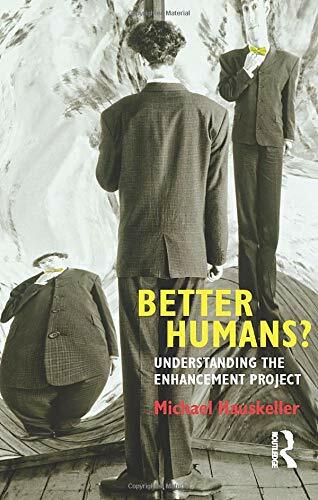 Questioning common assumptions about what constitutes human improvement, Hauskeller asks whether the criteria proposed by its advocates are convincing. The book draws on recent research as well as popular representations of human enhancement from advertising to the internet, and provides a non-technical and accessible survey of the issues for readers and students interested in the ethics and politics of human enhancement. "The book is not only educative and scientifically well underpinned but also comprehensible and highly entertaining, making it an attractive read and opening the issues up to a broad readership" --Bert Gordijn, Institute of Ethics, Dublin City University. "I would expect this book to make a significant contribution to the discussions of enhancement at the postgraduate level and to the academic community involved in this debate ... I do not know of any other text that covers this range of topics with such an approachable and clear style." --Professor Ruth Chadwick, Distinguished Research Professor, CESAGEN, University of Cardiff.